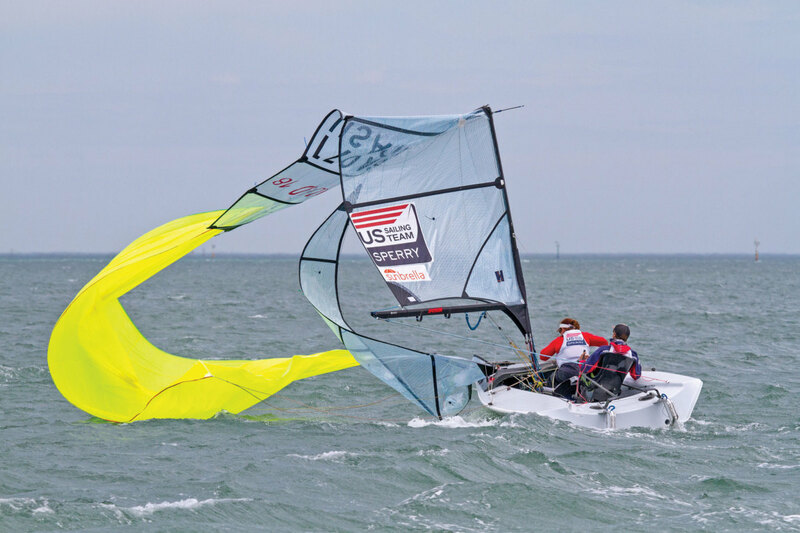 The second race of Day 3 of the 2015 Para World Sailing Championship in Melbourne, Australia, turned wild and more than a bit ugly when the already gusty 20-knot breezes suddenly ramped up to 30 knots and more. Among the crews most hard hit were U.S. SKUD 18 sailors Ryan Porteous and Maureen McKinnon, who lost their rig shortly after rounding the windward mark. Nonetheless, the pair were back on the water the next day and ultimately finished eighth overall in a tough 17-boat fleet.